Roger Sanders has updated his popular improved version of the Mother Earth News waste oil heater with a great deal of new information and new options. This waste oil heater solves all the problems that made the original MEN version difficult to use. Roger's design is simple and reliable -- it's easy to build and easy to use, it's quiet, it uses no electricity, it's easy to light, easy to clean and easy to control, it has a wide heat range, and it runs on waste vegetable oil (WVO) just as well as on used engine oil. It can save you thousands of dollars in heating bills. The Second Edition is available as a pdf e-book, price $22.50. Complete DIY instructions -- buy it HERE. Vegetable oil can be used as diesel fuel just as it is, without being converted to biodiesel. The downside is that straight vegetable oil (SVO) is much more viscous (thicker) than conventional diesel fuel or biodiesel, and it doesn't burn the same in the engine -- many studies have found that it can damage engines. Just put it in and go. Mix it with diesel fuel or kerosene then just put it in and go. Blend it with an organic solvent additive or with what some companies call "our secret ingredient that we'll tell you about if you pay us" (several versions) or with up to 20% gasoline (petrol), just put it in and go. The only way to use veg-oil is in a properly installed two-tank system where the oil is pre-heated and you start up and shut down on diesel fuel (or biodiesel). Along with many others, especially in Europe, we think pre-heating the oil is still not enough to ensure that it will combust properly inside the engine. It needs a complete system, including specially made injector nozzles and glow plugs optimised for veg-oil, such as the professional single-tank SVO kits from Germany. Then you really can just put it in and go. In March 2005 we installed a single-tank SVO system from Elsbett Technologie in our TownAce (1990 Toyota TownAce 1.9-litre 4-cyl turbo-diesel 4x4 van). The kit includes modified injector nozzles, stronger glow plugs, dual fuel heating, temperature controls and parallel fuel filters, and it does just what it claims to do. There's no waiting or switching fuels from one to the other, just start up and go, stop and switch off, like any other car. It starts easily and runs cleanly from the start, even at sub-freezing temperatures. It can use SVO or biodiesel or petro-diesel or any combination of the three. The professional single-tank SVO kits are the only SVO kits we recommend. Read on and we'll tell you why. We'll tell you about the other available options too. IDI - Indirect Injection diesel engines: the fuel is injected into a pre-chamber or swirl-chamber before going on to the combustion chamber. Pre-chamber engines are more tolerant of SVO than swirl-chamber engines. convert the engine so you can run it on SVO -- no need to process the fuel. It's not quite that simple. For instance, if you want to use waste vegetable oil, which is often free, you're going to have to process it anyway, though less so than to make biodiesel. And it still might not be very good fuel. More on the choice between biodiesel and SVO. One of the great advantages of biodiesel is that it will run in any diesel engine. The same claim has been made for two-tank SVO fuel systems: "Ready-to-install kit that will allow you to run any diesel on waste vegetable oil." Also in any weather. Is it true? Maybe, but for how long? In cold weather vegetable oil crystallises, forming solid wax crystals that can quickly block the fuel filters. One solution to the all-weather problem with two-tank kits is to change the filter in winter, using a 30-micron filter instead of the standard 10-micron filter (or less), so the wax crystals just go straight through without blocking the filter and melt in the injection pump, allegedly without causing any stress or damage. Also going straight through into the injection pump however will be any solid particles of between 10 and 30 microns that the specified standard filter would have stopped. "The Racor filter that comes with the Greasel kit filters down to 28 microns. If the oil being used is dirty, the Racor will do its job and protect your pump and injectors." "I wouldn't do it. They put that original 5-10 micron rating on there for a reason." "We do not recommend using the 30 micron as the final filter at any time. As the final filter, that micron rating will cause problems with the injection equipment in terms of wear/injector plugging, etc. We recommend using the Fuel Manager 5 Micron element (there are many lengths to choose from) as the final filter. If the system is 'common rail' then we recommend using the Fuel Manager 2 Micron." Diesel engines last a long time, half a million miles or more is not unusual, and there are not many thorough, long-term studies of the effects of using straight vegetable oil in diesel engines. What is clear is that "any diesel" is an exaggeration. Some diesel engines are more suitable than others. Some vegetable oils are better than others. Some injection pumps work better than others. Some SVO kits are better than others. Some computerised fuel systems don't like vegetable oil at all. There are doubts about using waste vegetable oil. There are doubts about using straight vegetable oil in DI (Direct Injection) diesels. The older IDI diesel engines are generally more suitable for SVO use, especially 1980s Mercedes and VWs. Newer DI engines can be converted for SVO use, but not just any SVO system will do the job properly. See Single-tank SVO systems. See The TDI-SVO controversy. Mechanical injection is better for SVO use than computerized injection. Inline injection pumps such as most Bosch models are most suitable for SVO. Rotary pumps should not be used with SVO systems. Lucas/CAV injection pumps have had high failure rates running on SVO. Avoid SVO systems containing copper parts -- not because the oil will damage the copper but because the copper will catalyse the oil, causing it to decompose. See Copper and SVO. The quality and condition of the veg-oil is much more important with an SVO system than if you're going to convert the oil into biodiesel. New, unused SVO is the best oil to use. 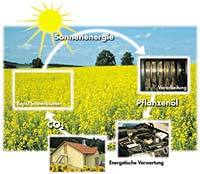 See German PPO fuel standard: "Quality Standard for Rapeseed Oil as a Fuel", with comments from Elsbett Technologie. Good-quality WVO can be used (though see the kit supplier's warranty). But how can you tell if your WVO is good quality? There's a widespread misconception among SVO users (and SVO kit vendors) that quality control with used oil means three things: filter, filter, filter. Often they filter it down to 0.5 microns, even though the final fuel filter specified for the engine by the manufacturer will probably be 10 or 5 microns, and seldom less than 2 microns. Special high-priced filter units are added to some SVO kits, which claim to remove the water content from the oil as well. But suspended particles and water are not the only impurities in used oil. There are serious contaminants that filtering won't remove. For instance, acid contamination can and will damage your engine. Filtering has no effect -- zero effect -- on the acid content of the oil. Centrifuging it also has zero effect on the acid content. The German PPO fuel standard (see above), the only existing quality standard for SVO, sets a maximum acid value of 2.0 mg KOH/g. Elsbett Technologie says oil that's too acidic can affect the lube oil. The Fuel Injection Equipment Manufacturers (Delphi, Stanadyne, Denso, Bosch) say it corrodes fuel injection equipment and leaves sediments on parts. Engine damage of a car using the BioCar SVO system was traced to a supply of soy oil which was not the usual food-grade oil and had a high acid content. "An examination of the defective sections found substantial surface erosion of the hardened steel high pressure parts, which are not acid-proof." The acid value depends on how much Free Fatty Acid (FFA) the oil contains. The standard level of FFA for food-grade oil (new oil) is low, but with used oil the amount of FFA it contains depends how long it was cooked and the temperature it was cooked at, and it varies widely. See What are Free Fatty Acids? Free Fatty Acids cannot be removed by filtering or centrifuging. Best to worst by titration, left to right: D, C and A can be used as SVO fuel, E and B definitely not. The titration test measures how much alkaline lye (NaOH, sodium hydroxide) is required to neutralise the acid in the oil. The less lye it takes, the lower the acid level and the better the oil quality. It's said that oil with a titration of more than 3.5 ml 0.1% NaOH solution should not be used with SVO systems, it's too acidic and will contain too much water, both of which can damage the fuel system. We think 3.5 ml of NaOH solution is too high, the limit should be 2 ml. There are standards for petroleum diesel fuel and for biodiesel fuel, as there should be, but for SVO there's only the German PPO fuel standard, which excludes WVO altogether. Use oil with low acid levels. The higher the titration result, the more water the oil is likely to contain, and the more difficult it will probably be to remove the water, even with a special filter or a centrifuge (see Removing the water). Used oil that titrates at 2.0 ml NaOH solution or less will contain little or no water. Someone we know fitted an Elsbett single-tank SVO system to his VW Golf. He used filtered oil from the works cafetaria at his job, where the manager had assured him it was pure, high-quality vegetable oil. We weren't so sure, so we titrated it for him. He was shocked by the result -- the titration was 8.5 ml of NaOH solution, bad oil! Much too acidic to use for SVO, and it contained a lot of water, which was difficult to remove. Don't take chances, learn to titrate your oil, and if it's too acidic find better-quality oil. Titration is the best and easiest way to check the quality of used cooking oil. It measures the acid content of the oil (Free Fatty Acid or FFA). It's quite simple and easy to do. Caution: Pure lye is used as drain cleaner, it's very caustic and can burn your skin. The 0.1% lye solution you'll use in the test is very weak, not dangerous. Lye quickly absorbs water from the atmosphere, close the container as soon as possible and keep it tightly sealed. Always keep all chemicals away from children. 2 small beakers, glass or HDPE plastic (High Density Polyethylene), about 200 ml. 1 500 ml glass or HDPE bottle with a tight-fitting cap. Stirring rods (we use wooden chopsticks). Work at about room temperature (18-24 deg C, 64-75 deg F). First, mix the titration solution -- do this in advance. The titration solution is 0.1% w/v NaOH solution (weight/volume), that's exactly 1 gram of NaOH dissolved in exactly 1 litre of distilled water. Unless you have very accurate scales, it's not easy to measure exactly 1 gram of NaOH. It's much easier to measure 5 grams accurately than 1 gram. Weigh out exactly 5 g of NaOH. This is called a stock solution. Keep the stock solution in the 500 ml glass or HDPE bottle with tight-fitting cap, mark it clearly: "Lye stock solution". Before doing the titration measure out 5 ml of the stock solution into the 50 ml measuring beaker, and add 45 ml of distilled water. This makes 50 ml of 0.1% NaOH solution. Pour it into one of the small beakers. Stand the beaker in warm water in one of the basins. Measure out 10 ml of isopropanol into the second small beaker. Using a syringe, add exactly 1 ml of the used cooking oil you're testing to the isopropanol. How to use a syringe: First draw the syringe plunger back about 1/8" (2 mm) to take in some air. Then put the end in the oil and fill the syringe. Hold it up level with your eye, preferably with a well-lit white wall in the background, keep it vertical, and carefully empty a few drops, drop by drop, until the bottom of the surface meniscus is level with the 1 ml mark. When emptying the syringe into the titration vessel, don't empty it completely -- the one millilitre volume ends at the end of the scale, which leaves a little extra in the spout. Empty the syringe only to the end of the scale, with the bottom of the surface meniscus level with the 0 mark. Stand the beaker in heated water in the second basin. When the mixture has warmed up, stir until all the oil disperses and it becomes a clear mixture. Using a second syringe, add 2 drops of phenolphthalein solution to the isopropanol and oil sample. Using the third syringe, add the warmed 0.1% NaOH solution drop by drop to the oil-isopropanol-phenolphthalein solution, stirring all the time. It might turn a bit cloudy, keep stirring. Keep a close check of exactly how much of the NaOH solution you're adding. Keep on carefully adding the NaOH solution until the solution starts to turn pink and stays pink for 15 seconds. The pH of the solution is now 8.5. The number of millilitres of 0.1% NaOH solution it needed to bring the pH to 8.5 is the titration result. A result of less than 2 ml 0.1% NaOH solution means it's good oil, safe to use as fuel. Oil that titrates at more than 3-3.5 ml is too acidic, find a source of better quality oil. We use WVO with our SVO fuel system (Elsbett), but we don't pre-filter it. We think filtering is a waste of time and it doesn't work very well anyway (see above re Free Fatty Acid, for example). If you use good quality waste oil there's no need to filter it, settling it works just as well or better. The final fuel filters in our Toyota TownAce last a long time using this method, and we've had no problems. First, for SVO fuel we use high-quality WVO, with low Free Fatty Acid levels. Our WVO comes from several sources, and titrates at between 0.5 and 3.5 ml 0.1% NaOH solution. The oil we use for SVO titrates at less than 1.5 ml (we use the rest to make biodiesel). The higher the titration level, the more water, impurities and suspensions the oil is likely to contain, and the longer it will take to settle. Gravity settling works well with oils titrating up to 3.5 ml NaOH solution and more. At higher levels than that you shouldn't be using that oil anyway, it's too acidic. If you don't have time to wait for the oil to settle, usually 1-2 weeks, it could be worth increasing the WVO supply and reserves to make the time. If in collection you keep ahead of your processing rate, oil has a chance to settle. I have found that oil that has been sitting for several weeks is very dry if carefully decanted. Settling also results usually in oil which is spectacularly clear when observed in a glass container (you can read fine print through it) which means it is quite clean, perhaps cleaner than filtering may give you. The restaurants here in Japan get their cooking oil in standard-sized 18-litre metal cans, and that's how we get the used oil from them, in the same cans. Other countries use similar sized plastic containers or plastic "cubies" for the same purpose. Whether cans or cubies, store them somewhere the oil can settle undisturbed for up to 2 weeks. I allow the WVO to settle in cubies for a week. (A cubie is the 4.5 gal (17.7L) plastic container that veg oil is delivered to restaurants in.) I then pour the top 80% of each cubie into a 55 gal drum and consolidate the bottom 20% of 5 cubies into 1. Most of this will be ready for the barrel the next week. I have 4 WVO barrels. One is settled, two are settling, and one is being filled. I pump WVO out of the settled barrel from the top 3/4. This oil is very clear and requires very little drying. I recently helped someone get off the ground making biodiesel. He's a tinkerer, and came up with an elaborate filtering/dewatering system. I repeatedly suggested that he trust gravity. He was away for about 10 days and when he came back he called to tell me that he couldn't distinguish the oil from the top half of an unfiltered cubie from his filtered oil. Getting rid of his filtering setup has made room for a settling tank. We do it much the same way, settling the WVO in the metal cans, then pouring it from the top. What's left at the bottom is settled again. We use a 55-gal (200-litre) steel drum for storage, but we don't pump the WVO out from the top. The drum has a bottom drain fitted with a 6"-high 3/4" standpipe (15 cm-high x 1.9 cm), which leaves any sediment on the bottom of the drum undisturbed. Every now and then we drain the drum to the top of the standpipe, then remove the standpipe and drain the drum completely, sediment and all. The "bottoms" are re-settled the same way, first in 18-litre metal cans. The final sediment can be used as fire-starter, or added to the compost pile. Avoid drying oils or semi-drying oils with a high iodine value (see Iodine Values), which can polymerise to form tough epoxy deposits, not good for engines. Raw oil straight from the oilseed press has to be degummed and deacidified before use. See Fats and oils. Deacidification is also recommended for WVO, which can contain acids that cause corrosion in the injector pump, and impurities that can cause coking and further corrosion. See Deacidifying WVO, or use oil with a low FFA content (see above). WVO must be free of water, see Removing the water. WVO is usually pre-filtered to the original specifications for the injection pump, usually 10 microns, sometimes 5 microns, sometimes less. Alternatively it should be settled long enough to clear -- see above, Filtering. Many SVO users fit an extra filter upstream with a coarser grade, with the final filter the same rating as the original. Check fuel filters often, especially in cold weather when waxes can clog up the fuel system. SVO is less winter-hardy than biodiesel (which itself isn't very winter-hardy). Vegetable oils have higher cloud-points at which they start to gel (turn solid) than biodiesel made from the same oils. See Oils and esters characteristics. The same cold-weather solutions apply for SVO as for biodiesel -- see Biodiesel in winter. See Winterized biodiesel for preparing WVO for winter use. With diesel engines, unburnt fuel can mix with the engine lubricating oil, and SVO can degrade the oil. Check the engine oil often. Some SVO users pay for regular engine oil analyses. The central problem in using vegetable oil as diesel fuel is that vegetable oil is much more viscous (thicker) than conventional diesel fuel (petro-diesel, DERV, "dino-diesel"). It's 11 to 17 times thicker. Vegetable oil also has very different chemical properties and combustion characteristics to those of conventional diesel fuel. If the fuel is too thick it will not atomise properly when the fuel injectors spray it into the combustion chamber and it will not combust properly -- the injectors get coked up, leading to poor performance, higher exhaust emissions and reduced engine life. Myth: Just put it in the tank -- any inline injection pump is happy on cold veg-oil, they don't mind starting on cold oil, especially with an older Mercedes. 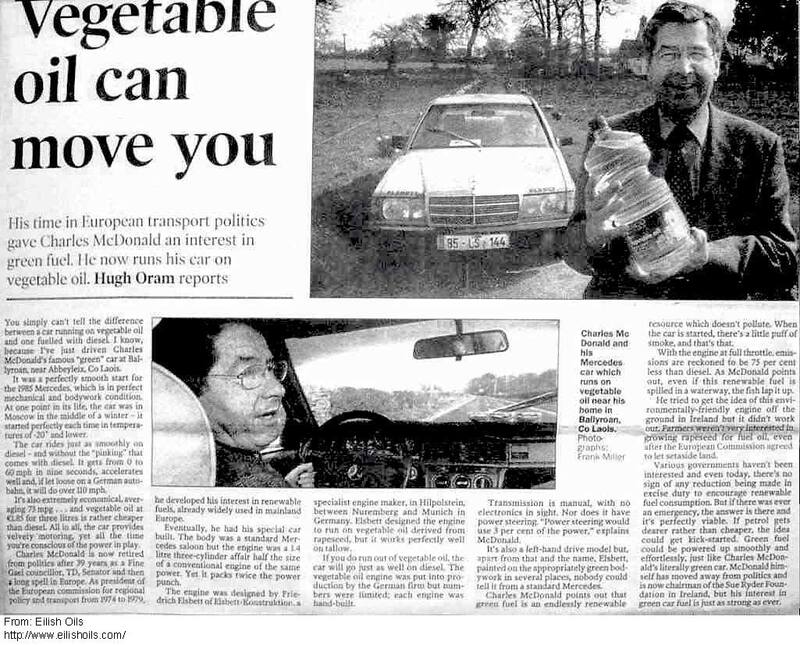 "I am tired of hearing people say that they can dump veg-oil in an old Mercedes, do nothing, and it will be fine. It's abuse of a fine engine, it causes poor, smoky cold starts, the emissions will not be as favorable as they should be, and the starter, glow plug, lift pump, battery, and injection pump will all be subjected to higher than usual stresses." Myth: Mix it with diesel fuel or kerosene, then just put it in and go. "I've been running a vegoil/diesel mix, 50/50 winter 70/30 summer." "I'm running on about 50% petro-diesel to 50% veg-oil, no problems!" "I use 90% WVO and 10% kerosene as my standard summer fuel." "Your cold starts will begin to deteriorate, your filter will probably start plugging, your injectors will get coked up, setting the stage for ring sticking, glazing of the cylinder walls, increased lube oil consumption and eventual engine failure -- if you can continue to get the thing started in the morning. More than 20% or so veg-oil in the diesel is not a good plan for more than short term 'experiments'." "Mixing veg-oil and diesel isn't advisable unless you heat all the fuel." We've said much the same: "You'll need what amounts to an SVO system with fuel pre-heating anyway." A couple of years ago a cars program on British TV publicised a new way of using vegetable oil as diesel fuel -- "just add a spoonful" of solvent. The solvent was white spirit (mineral turpentine), with 3% added to the veg-oil to lower the viscosity and also to lower the flash point so the engine would start easier. It raised a lot of interest among novices, and a lot of scepticism among experienced SVO users: "experimental at best" and "steer well clear" were among the more polite comments. A look-alike or maybe an off-shoot of the British operation started selling a "diesel secret energy" additive in the US market claiming to make high-performance diesel fuel from WVO for only one-sixth the price of petro-diesel fuel. The recipe: mix WVO with 10% kerosene, 5% unleaded gasoline, a cetane boost additive and the secret ingredient, which as SVO users discovered turned out to be... xylol paint-stripper and moth balls, long touted as miles-per-gallon improvers for gasoline engines. Maybe it even works, but again, for how long? Where are the long-term test-results for safe use of these chemicals in "almost any engine" as claimed? As one source rather kindly puts it: "Long-term durability and detailed exhaust emissions data is incomplete." The same comments still apply: "experimental at best" and "steer well clear". Adding gasoline to veg-oil is a more recent trend, with some people using mixes of 10-20% unleaded gasoline/petrol to 80-90% veg-oil. Myth: "The point in mixing vegetable oil with unleaded gas/petrol is to reduce its viscosity so that it will move through the fuel lines and injector pump without heating even during the winter months." 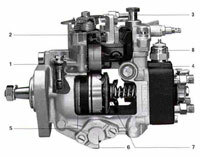 The more important point is not so much how freely the fuel might move through the fuel lines and injector pump but how it burns when it reaches the combustion chamber, and little is known of the effects of these additives or of gasoline on combustion in a diesel engine along with unheated (or heated) veg-oil. As usual, there are no long-term results. One user damaged the injector pump of his Vauxhall Astra TDI after using only 100 litres of a mix of 80% WVO, 10% denatured ethanol, 5% butanol and 5% gasoline. Injection pump manufacturer Bosch prohibits the use of any alcohol-blended fuel with the Bosch VP44 injection pump. Whether such cautions apply to other solvents being used as veg-oil fuel additives is unknown. "Just put it in and go" methods might make some sense for someone out to save ready cash on fuel bills without much concern for possible longer-term costs. But biofuellers should be finding the best ways, as most are, not just the easiest and cheapest ways. Apart from the cash costs to the user, what are the ecological costs of replacing a diesel engine 20,000 miles or 50,000 miles or who knows how many miles sooner than it should have been necessary, starting from raw materials extraction through each step of manufacturing and supply, with heavy fossil-fuels use every step of the way? You wouldn't be doing anybody any favours. We'd like to encourage people to take intelligent risks and experiment or we'll never learn what works and what doesn't work. But it's a risk, you're on your own, there are no guarantees. The more people use straight vegetable oil, with whatever system, good or bad, the more likely it is that the car manufacturers will start to take some notice and begin to realise that there is a market for true multi-fuel capability diesel engines, and put some research & development effort into it at last. But in establishing what works and what doesn't work, some are likely to be left along the wayside with the remains of what didn't work. They'll be heroes in the cause of real straight vegetable oil diesel engines that anyone can use, not just enthusiasts -- manufacturer-made, supplied and warranted diesels that can run on petro-diesel, biodiesel or straight vegetable oil, in any blend, without any fuel-switching or fuss: fill 'er up, switch on and go, stop and switch off, like any other car. Currently only the German professional single-tank SVO systems do that. These are the only SVO systems suitable for "any diesel". See below, Single-tank SVO systems. With two-tank SVO kits one tank holds the vegetable oil and the other petro-diesel (or biodiesel). The engine is started on the petro-diesel tank and runs on petro-diesel for the first few minutes while the vegetable oil is heated to lower the viscosity. Fuel heaters are electrical or use the engine coolant as a heat source. When the fuel reaches the required temperature, usually 70-80 deg C (160-180 deg F), the engine is switched over to the second tank and runs on SVO. Before the engine is shut down, it must be switched back to petro-diesel and the fuel system "purged" of vegetable oil before switching off, so that there's no cold veg-oil left to coke up the injectors next time you start the engine. Some systems have manual fuel switches, some do it automatically. That's double the temperature the two-tank SVO systems use. At only 70-80 deg C. veg-oil is still much more viscous than petro-diesel -- six times more viscous in the case of rapeseed oil (canola), the oil specified in the German SVO fuel quality standard. Some two-tank kit vendors in North America admit that their systems are still experimental. They point to rising mileage figures by an increasing number of users, and the data is becoming quite impressive, but few cases yet approach the high mileages to be expected of diesel engines. For long-term use, two-tank SVO kits are probably adequate for some or possibly many IDI (Indirect Injection) diesel engines with suitable injection pumps. Not recommended for Direct Injection engines. See The TDI-SVO controversy. Whatever their technical merits and shortcomings, two-tank kits are better for longer-distance driving than for short stop-and-start trips. Single-tank SVO systems are suitable for both Indirect Injection (IDI) and Direct Injection (DI, TDI, PDI) diesel engines. The "secret" is specially made injector nozzles, increased injection pressure and stronger glow-plugs, in addition to fuel pre-heating. Journey to Forever uses a single-tank SVO system. They're the only SVO kits we recommend. Elsbett Technologie, who have more than 30 years at the forefront of using vegetable oil fuel in diesel engines. VWP, Vereinigte Werkstätten für Pflanzenöltechnologie ("combined workshops for vegetable oil technology"), founded about 12 years ago by former Elsbett employees. WOLF Pflanzenöltechnik (WOLF vegetable oil technology) have been providing advanced single-tank SVO systems since the mid-90s. Elsbett Technologie has been a leader in diesel technology for more than 50 years. By the 1970s the company had filed 400 patents, with worldwide licensing. Elsbett was the first to make Direct Injection diesel engines for passenger cars. Elsbett began investigating vegetable oil as an alternative fuel with the Oil Crisis of 1973. In 1979 it started production of a pure vegetable oil-fueled engine, the Elsbett Multi-Fuel Direct-Injected passenger car diesel engine, a 3-cylinder, oil-cooled engine with Direct Injection and an integrated injection system (unit injectors, each with its own fuel pump) which ran on petro-diesel or straight vegetable oil. Elsbett began converting other diesel engines to run on vegetable oil or diesel fuel in 1980. Elsbett Technologie single-tank SVO kits provide full modification for running a diesel car on pure vegetable oil, or on petro-diesel, or biodiesel, or any blend of the three. (Elsbett does not warranty existing fuel system seals etc for biodiesel compatability.) Includes Direct Injection diesels. One-year warranty on parts as well as any proven damage to the engine resulting from vegetable oil fuel use. Warranty limited to SVO, excludes WVO, but not limited to rapeseed oil. Replacement injector nozzles manufactured by Elsbett, with the spray pattern and angle optimised for veg-oil. Injector pressure is increased by 5 to 10 bar depending on the type of engine. Replacement glow-plugs that are longer, get hotter and stay hot longer. Special upgades for engine ECUs (PCM) for improved combustion of biofuels. Electric fuel filter heater plus coolant-powered heat exchanger as secondary heat source. Relays for glow-plugs and filter heater. Elsbett says a "technically skilled owner" can install the kits. You can do it if you're used to working on engines, have the usual mechanic's tools and can follow a wiring diagram, though you'll need access to an injector pressure tester (0-400 bar) to check the opening pressure of the injectors, or find a diesel mechanic to do it for you  or to do the whole job for you. The Elsbett engine -- the 1979 3-cylinder SVO diesel motor designed by the late Ludwig Elsbett was a highly advanced true multifuel engine, and the forerunner of all DI diesels made today. News article about a Mercedes fitted with the amazing Elsbett engine (120kb graphic file). VWP, Vereinigte Werkstätten für Pflanzenöltechnologie ("combined workshops for vegetable oil technology"), was founded about 12 years ago by former Elsbett employees. The company makes high-quality single-tank SVO systems with special injectors, special glow-plugs and fuel heating (they're not cheap). Includes Direct Injection diesels. German site, use Google translation. VWP supplies single-tank SVO conversions for the German government-supported "100 tractors" program, with working tractors converted to use SVO in a three-year monitoring program. The tractors are the Deutz Agrotron series with advanced 6-cylinder PDI diesel engines. WOLF Pflanzenöltechnik (WOLF Vegetable oil technology) has been providing advanced single-tank SVO systems since the mid-90s. WOLF has SVO systems for Direct Injection diesels, and has raced a 245 km/h Audi A3 Pumpe Düse PDI running on SVO in 24-hour endurance races at Nürburgring. German site, use Google translation. "Using SVO in TDIs and PDIs it not an issue when using proper conversion technology and proper SVO fuel quality, meeting the limits specified e.g. in the German RK standard. Proper conversion includes injectors, glow plugs, timing and other fuel settings. "We have converted several TDIs and one PDI with SVO single-tank systems plus heater (boiler) for winter starts. The PDI is a Lupo 3L 1.2, and has been running on Faroe Island for more than a year now. "Some of the TDIs have passed two years and about 100,000 km. We have imported one TDI from Germany with more than 330,000km on SVO with a single-tank system. "Two weeks ago I tried the new VW Touran 2.0 PDI (4 valves/cyl) with a single-tank SVO system. It was very convincing, both the start and driving. The German company who converted it (VWP) claims that they make the type emission approval for all their conversions, which for this car is EURO4. "SVO professionals claim that the high injection pressure with PDIs is not an issue. If you study the German '100 tractor programme' (VWP) you will see that some of the most successful conversions use PDI technology. "The 'original' 3-cyl 1.5 liter Elsbett Multi-Fuel engine had a PDI system 30 years ago, so it is not new." The professional single-tank systems are the only SVO systems suitable for "any diesel". See Two-tank SVO systems, above. BEWARE of people selling plans online for cheap Do-It-Yourself two-tank SVO solutions. You could end up paying good money for filter system plans that tell you to use an old pair of jeans (it's happened). Biodrive -- Swiss two-tank SVO kit with microcomputer-controlled fuel switching. BioCar -- Dual-tank straight vegetable oil system from G. Lohmann in Munich, Germany. Computerized controller monitors fuel, adding petro- or biodiesel before the injection pump to adjust the viscosity. German-language site with on-site translation. German company Aetra makes two-tank SVO systems with automatic fuel management via micro-computer controls. Greasel -- US coolant-heated two-tank SVO kits. Claimed kit suitable for "Direct injection, Indirect injection, Common rail, VE, Rotary inline, unit injectors, Computer controlled". Maybe, or maybe not. See The TDI-SVO controversy. See also above. For a range of small-scale oilseed presses see Oilseed presses at our Biofuels supplies and suppliers page. Rapeseed (Brassica napus), or canola, produces about 2,000 pounds of seed per acre, yielding about 100 gallons of vegetable oil for fuel, as well as 1,200 pounds of high-protein meal (seedcake) which can be used for livestock feed, or composted, or added to a biogas digester to produce methane for cooking and heating, or used to make ethanol. On the small scale, one bushel of rapeseed (canola) produces about 3 gallons of biodiesel. The Sunflower Seed Huller and Oil Press -- by Jeff Cox (from Organic Gardening, April 1979, Rodale Press): Vegetable oils used to be one of those items you just HAD to buy. Now here's how to make your own. In 2,500 square feet, a family of four can grow each year enough sunflower seed to produce three gallons of homemade vegetable oil suitable for salads or cooking and 20 pounds of nutritious, dehulled seed -- with enough broken seeds left over to feed a winter's worth of birds. Online at the Journey to Forever Biofuels Library. "Small-scale Oilseed Processing" by Janet Bachmann, NCAT Agriculture Specialist, Appropriate Technology Transfer for Rural Areas (ATTRA) -- Basic processes involved in small-scale oilseed processing, includes a low-tech method for raw material preparation using sunflower seeds as an example; information on methods and equipment used for oil extraction; notes on clarification, packaging, and storage. Sources for additional information and a list of suitable raw material. Report of the European Advanced Combustion Research for Energy from Vegetable Oils (ACREVO) study of the use of straight vegetable oil as diesel fuel. Investigates the burning characteristics of vegetable oil droplets from experiments conducted under high pressure and high temperature conditions. Very interesting study, worth a thorough read (4,400 words). Straighter-than-straight vegetable oils as diesel fuels, Michael Allen, Visiting Professor, Prince of Songkla University, Thailand: What happens when you try to run a diesel motor on crude palm oil. Palm Oil as a Fuel for Agricultural Diesel Engines: Comparative Testing against Diesel Oil, by Gumpon Prateepchaikul and Teerawat Apichato of Prince of Songkla University, Thailand. Comparative tests of indirect injection agricultural engines fueled by diesel and refined palm oil and operating continuously at constant 75% maximum load and speed of 2,200 rpm. German PPO fuel standard: "Quality Standard for Rapeseed Oil as a Fuel"
Use of Raw Vegetable Oils as Diesel Fuel Replacements -- University of Idaho: "... most research with raw vegetable oils have shown reduced engine life due to polymerization in the ring belt area and in some cases lubricating oil thickening, reduced bearing life or even sudden catastrophic failure..."
Review: Utilization of Rapeseed Oil, Rapeseed Oil Methyl Ester or Diesel Fuel -- Exhaust Gas Emissions and Estimation of Environmental Effects, by Jürgen Krahl, Axel Munack, Müfit Bahadir, Leon Schumacher and Nancy Elser, 1996. This report is a review of emissions tests of rapeseed oil and rapeseed methyl esters biodiesel using the US FTP-75 tests or European ECE-15 13 and 5 tests. Emissions are categorized and compared with petroleum diesel fuel in different types of diesel engines. Section 2 on Engine Testing Procedures and section 3, "Environmental Effects of the Main Exhaust Gas Components", are well worth a read in their own right. Suitability of used fats and oils as a diesel engine fuel, by Rudolf Sagerer, Munich 1999 -- in German, German Army university degree paper, 145 pages. The study used a two-tank system and various kinds of WVO. Interesting information on emissions -- at high load the emissions and power are better than with Ultra-Low Sulphur Diesel fuel (ULSD), and at part load and low load worse. 1.2Mb Acrobat file. Vegetable Oil as a Fuel by Darren Hill -- online report, mainly UK-based: The Diesel Engine, Theory of Vegetable Oil Use as a Fuel, Engine suitability, Heating the Oil, Biodiesel, Micro Emulsions and Blends, Vegetable Oil Engine Design, Vegetable Oil Furnaces and Heaters, Oil Types and Filtering, Taxation, Implications of Vegetable Oil Fuel Use, Sources. Welcomes contributions from users. Datenbank des Forums 'Fahren mit Salatöl' (Database of the forum 'driving with salad oil') -- This German database has information on hundreds of cars using veg-oil. SVO Database -- for vehicles running on SVO (straight vegetable oil), or a blend of SVO. Users can enter their own information according to vehicle type, pump, fuel system used, etc. Good and bad experiences welcome. Open access with free password. Hopes to show which vehicles are the most successful based on mileage and quality of fuel used. Effects of copper on SVO: Standardisierung von Rapsöl als Kraftstoff - Untersuchungen zu Kenngröben, Prüfverhafen und Grenzwerten, by Edgar Remmele, thesis on vegetable oil as fuel -- see pp 144-146 for the effects of copper on vegetable oil. Acrobat file, 1.4Mb - in German. Operation of a Diesel Engine Using Unrefined Rapeseed Oil as Fuel, Chiyuki Togashi, Department of Agricultural Engineering, Miyagi Agricultural College, and Jun-ichi Kamide, Faculty of Agriculture, Yamagata University, Japan. Report of tests with unrefined rapeseed oil in a small diesel engine on short-term performance, long-term operation and no-load continuous operation using deacidified oil, degummed oil and crude oil. Results of engine and vehicle testing of semi-refined rapeseed oil, Kevin P. McDonnell, Shane M. Ward & Paul B. McNulty, University College Dublin, Dept of Agricultural & Food Engineering, Dublin, Ireland. Eignung von aufbereiteten Altfetten zum Betrieb eines Dieselmotors (Suitability of treated used fats as a fuel for diesel engines), Dipl. Ing. Olaf Soyk, 1999, 145 pages -- a.k.a. the "Biocar thesis". Acrobat file, 1305Kb, in German. Part English translation: a summary of all important diagrams and charts of the "Biocar thesis", translated by Stephan Helbig: "There are no further comments of what is shown here. If you want to know more about the evaluation of these results, maybe contact Biocar. Biocar offers a heated dual tank vegoil conversion kit that is also made for use of solid, used fats. Anything in this paper assumes a Biocar kit." Jim Burke's TDI vegoil conversion -- "Due to the continued price increases of biodiesel, I have decided to convert my '98 Jetta TDI to vegetable oil. The price of biodiesel has gone up over 40% in a little over a year. A kit was recently made available from Elsbett Technologie for vegetable oil conversion of TDIs. Assuming I use waste fryer oil and my time is free, I should recover the cost of the kit in just over one year. I'll document my experiences here." Comparison of Transport Fuels -- Final Report (EV45A/2/F3C) to the Australian Greenhouse Office on the Stage 2 study of Life-cycle Emissions Analysis of Alternative Fuels for Heavy Vehicles, by Tom Beer, Tim Grant, Geoff Morgan, Jack Lapszewicz, Peter Anyon, Jim Edwards, Peter Nelson, Harry Watson & David Williams -- CSIRO in association with The University of Melbourne, the Centre for Design at RMIT. Parsons Australia Pty Ltd and Southern Cross Institute of Health Research. Part 1 provides a summary of the salient points of each fuel, Part 2 consists of detailed chapters on each fuel. Why the Ricardo report is just another useless report! -- Niels Ansø of the Folkecenter for Renewable Energy in Denmark issues a persuasive rebuttal to the negative findings on SVO emissions in the Ricardo report -- worth reading in full for a better understanding of how SVO fuel works. 2,100 words. Examination of Pure Plant Oil as a Transportation Biofuel  Experiences and Potentials, by Darren Hill. A critical examination of the Ricardo report (above). First in a series of five Fats and Oils Studies published in the 1920s by the Food Research Institute. Good overview of the subject written in layman's terms, covers nature and sources of fats and oils, properties, technology, production, international trade and more. Not very much has changed since then, it's just grown more complex. A clear and informative guide -- useful information for anyone making biodiesel or working with SVO. Full text online at the Biofuels Library. Oils -- King's American Dispensatory, by Harvey Wickes Felter, M.D., and John Uri Lloyd, Phr. M., Ph. D., 1898 -- Informative 5,000-word article, clear explanations (excuse the whale oil!). Oils and Vegetable Fats, by H.F. Macmillan, F.L.S., A.H.R.H.S. -- Old text with good illustrations and clear information on many oils of interest to biofuellers. Chemical Reactions of Oil, Fat and Fat Based Products -- Structure, properties and classification of lipids; Edible oils and fats sources, processing, bulk products and dispersions; Chemical, biochemical and biological deterioration. 20,000-word article, diagrams and tables. Department of Chemical Engineering, Instituto. Superior Técnico, Lisbon (Portugal), October 1997. The information on this page is provided in good faith and is accurate to the best of our knowledge. It is provided without any guarantees or liability. Journey to Forever is in no way responsible or accountable for any information provided on any of the external websites referred to here. Make your success certain by using our incredible braindumps study packages and gmat prep. We are providing the best ccie security and 350-029 training solutions for preparations. You can also get 642-165 from our website.